There are many colleges and universities offering online Bachelor in Healthcare Administration. When looking for a school to join, it’s important that you check whether or not it’s accredited or that the program is approved/certified. These factors assure you of quality in the offered program. Health Administration degree prepares students for administrative duties in medical or healthcare settings. As a health administrator, you must keep abreast of new technologies, patient records, health policies, health care laws and new regulations and pass this knowledge to the medical team that you’re managing to ensure effectiveness in the running of hospitals or departments in healthcare facilities. The degree program requires for students to complete their practical courses in a medical environment. 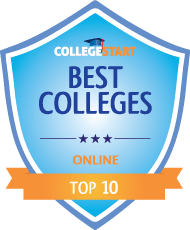 Warner Pacific College attained a score that ranked it among the top best value colleges for online bachelor in healthcare Administration. Warner Pacific College is Christian-centered college which has been on existence since 1961. This specific program is engineered to equip a person with technical knowledge on health and business management skills in health care delivery. The online Health Care Administration in Warner Pacific College runs for a duration of 2 years. There are 17 courses in this program; and each course is estimated to run for an average of 5 weeks. Online students receive weekly assignments. The courses are similar to campus classes with the same privilege of an outstanding curriculum and course instructors. The application process for an online program requires one to fill an online application form and pay $25. Eligibility for this course requires either; a 2 years working experience, high school completion or a GPA of 2.0 in the least from a college. The Northwest Commission on College and Universities accredits the Warner Pacific College. Champlain College offers an online Bachelor’s in Healthcare Administration degree which is designed for students who are keen on working as healthcare professionals. The college is regionally accredited by NEASC. It’s recognized by US News and World Report and is approved for veterans by the State Board of Education. By enrolling for this program, you learn in depth about the ethics, regulations and laws within the healthcare sector. You gain deeper understanding of processes that will enhance the performance of individuals as well as organizations. This program equips you with knowledge you can use to prepare budgets and nurture abilities that will promote positive teamwork in an organization. You’re required to have an associate degree or equivalent of 60 credits for successful enrollment into the program. Tuition: the cost per credit hour is $641. Financial Aid: there are scholarship funds and student aids. Active duty military and veterans have access to military benefits. Campbellsville University offers a Bachelor of Science in Business Administration with emphasis in Healthcare management. This program is entirely available online and is meant to impart knowledge on students such that they can operate effectively in the healthcare industry after graduating from college. Students are taught managerial skills that will help them succeed in their workplace. They learn in detail what healthcare management entails and also how they can interpret, combine and make use of data in a healthcare setting. The credentials they attain will help them go past entry-level jobs. The entire course is 120 credit hours long. The program has been awarded top distinctions by Forbes Southern US Business Schools and U.S. News and World Report. Campbellsville University is accredited by the Southern Association of Colleges and Schools Commission on Colleges. Tuition: the tuition cost is $399 a credit hour. Financial Aid: students can apply for grants, loans, scholarships and also access payment plans. The Gardner – Webb University provides online students with the opportunity to graduate with a Bachelor’s in Health Management through their GOAL Degree completion program. The program encompasses business ethics, human relations and ways to manage healthcare businesses. It prepares students to be able to use their decision-making skills and the technologies at their disposal to solve managerial problems. The university teaches strong Christian values and is accredited by the Commission on Colleges of the Southern Association of Colleges and Schools. The degree program is accredited by the Association of Collegiate Business Schools and Programs. Transfer students wishing to join the institution must submit applications alongside official transcripts from institutions attended and at least 60 semester hours from a regionally accredited college or university. Tuition: the cost of one credit hour is $382. Financial Aid: students are encouraged to seek scholarships, grants and federal as well state aid. They can also pay via employer reimbursement funds. The State University of New York Canton offers the Bachelor of Science in Health Care Management option through their online portal. The program is open to everyone who wishes to pursue their degree studies online, from freshmen to working professionals. The coursework covers U.S healthcare system, administration of healthcare facilities, public health, healthcare finance and business education in accounting, economics, human relations and marketing. Students who’ve successfully graduated can find work in outpatient care centers, hospitals and health practitioners’ office. For admission, students are required to take either the written and Oral Expression or the Expository Writing. Transfer students must have attained a minimum GPA of 2.0. They should also transfer credits from former colleges. Tuition: the cost per semester for New York residents is $3,235 and $5,430 for non-residents. Financial Aid: students can benefit from scholarships, military benefits, federal aid programs and private alternative loans. The University of Virginia offers an online Bachelor of Professional Studies in Health Sciences Management, a program designed for individuals with knowledge and experience in health related fields such as radiography, health information management and emergency medical services. It prepares them with the right information so that they can take up leadership roles in the healthcare industry. The core curriculum covers business and healthcare education, finance and economics of medical care, principles of business leadership, relationship management and communication. You will join the university as a third year student and will have to complete a minimum of 60 credit hours in order to graduate. The University is accredited by the Southern Association of Colleges and Schools Commission on Colleges. Students wishing to join the institution must have associate degrees and documentation that supports their certification in their respective health fields. Tuition: the entire course costs $30,000. Financial Aid: students can access scholarships, veteran and military benefits and federal student aid. The University of Central Florida offers a Bachelor of Science in Health Services Administration, online major option through the College of Health and Public Affairs. It’s a degree completion program that is open to high school graduates, associate degree holders and anyone else who’s interested in working as a healthcare administrator. The program is accredited by the Association of Advance Collegiate Schools of Business International. It teaches extensively on healthcare management, in the process preparing students for entry-level administrative roles in hospitals and healthcare facilities. The university is accredited by the Southern Association of Colleges and Schools. The curriculum covers health law and ethics, epidemiology and health information technology. For admission, one must submit high school transcripts, a non-refundable fee of $30 and transcripts from institutions attended for transfer students. Tuition: cost per credit hour for in-state residents is $105 and $511 for out-of-state residents. Financial Aid: assistance available includes loans, grants, scholarships and student aid. The Pacific University Oregon offers the online Bachelor of Health Science program as a degree completion option for working individuals. There are interactive sessions between students and teachers once a week. The curriculum entails research methods, internship, information management systems, health policy and law, organizational behavior, healthcare delivery systems and healthcare economics. The entire program consists of 40 credits. Upon successful completion of the program, graduates may find work in health insurance companies, nursing facilities, medical and dental practice, hospitals and public health facilities. The university is accredited by the Northwest Commission on Colleges and Universities (NWCCU). Students seeking admission must have an associate degree with a concentration on healthcare, a cumulative GPA of 2.75, be an employee of a healthcare organization and have transcripts for college coursework. Tuition: the cost of every credit hour is $450. Financial Aid: all students are encouraged to apply for federal student aid. The Prima Medical Institute is one of the institutions offering Bachelor of Science in Health Care Administration through online platforms. The degree is meant to help students get the educational requirements and preparation needed for leadership roles in healthcare administration. Why study at PMI? Students are taught excellent communication skills and also develop decision-making skills needed to manage any office within a healthcare setting. The school’s only goal is to producing competent graduates in various healthcare related disciplines. The classes taken include emergency response operations management, healthcare policy and leadership in healthcare management. If you’re seeking admission, you’ll need to have 64 transferable semester credits and high school diplomas or their equivalent. The school is accredited by the Bureau of Health Education Schools. Tuition: total tuition cost is $22,293 inclusive of tax, uniforms, textbooks and lab supplies. Financial Aid: students have access to state and federal student aids as well as loans. The University of Alabama at Birmingham offers Bachelor of Science in Health Care Management through the online option. The degrees concentrations are B.S and M.S Fast track, Long-term care administration track, clinical manager track and general manager track. The B.S and M.S fast track option lets you study for your bachelor in health care management while at the same time taking your master of science in Occupational Therapy. The program is accredited by the Commission on Accreditation of Healthcare Management Education. For admission, students must have a 2.5 GPA for the general manager track, 2.75 GPA for pre-professional and long-term care administration and 3.0 for occupational therapy and the B.M and M.S fast track. One needs to have an associate degree in a health related discipline and have a license for the same for the clinical manager track. Tuition: $586 for first semester hour for residents and $1075 for non-residents. Financial Aid: students can access scholarships, grants and federal loans. You can study for a Bachelor of Science in Healthcare Administration at the Southern New Hampshire University through their online portal. The school is accredited by the New England Association of Schools and Colleges Inc. The degrees concentrations are Health Information Management and Patient Safety and Quality. The curriculum taught matches the principles set by the Association of University programs in Health Administration. The coursework focuses on ethics, policy, technology, quality management and business with regards to healthcare. Learning at the institution helps you develop interpersonal skills and be able to use economic and financial data when making decisions that relate to your work. Your duties as a supervisor will be to plan and manage health services in order to improve patient care. Tuition: a credit hour is $320. Active military and their spouses pay $225 per credit hour. Financial Aid: ways to pay to pay for tuition include student loans, grants and scholarships. Tiffin University is one of the institutions you can join for advanced learning in healthcare management and administration. It offers one of the best online bachelors in healthcare administration programs. It prepares students for careers such as healthcare administrator, chief nursing officer, project consultant, director of business development and healthcare marketing director. The curriculum combines knowledge skills, healthcare administration major, electives, and general education courses to produce a well-prepared graduate. Prior to graduation, the student should have completed at least 121 credit hours, 50 of these being in the healthcare administration major. High school graduates, holders of GED certificates and students who wish to transfer their credits are encouraged to apply for admission to the program. The online mode of study lets you take two classes at a time, which consequently reduces the time needed to complete your degree; i.e. you can earn your degree in just years. Dallas Baptist University is a Christian university offering one of the best online bachelor in Healthcare Administration and Management. The degree program is available in two options, major and minor. The minor is developed for students who want an understanding or foundation in health care management. These are the courses taught in the minor: Health Care Ethics, Finance for Health Care Managers, Organizational Behavior in Health Care Management and Human Resource Management. The major offers same courses as the minor plus several others such as Information Systems for Management, Management Communication and Principles of Marketing. Students are required to complete 120 credits hours with a minimum GPA of 2.0 before graduating. The university is accredited by the Southern Association of Colleges and Schools Commission on Colleges (SACSCOC). The mission of the school is to prepare students as servant leaders who can incorporate the Christian faith into their work. Franklin Pierce University offers one of the best online bachelor in healthcare administration. The BS in Healthcare Administration program integrates liberal arts with major courses to prepare the student for an array of careers in the healthcare industry. Students will be taught a number of courses including Introduction to Healthcare Services, Healthcare ethics policy & law, Epidemiology, Leadership & Management in Healthcare Organizations and Healthcare Systems Management and Quality Improvement. The curriculum includes an internship, whereby students are required to complete at least 165 hours in practice. The internship can be taken any time after the second semester of junior year. The program prepares students with knowledge on the US healthcare system and how cultural, social, political and economic issues affect the system. They also learn the role of strategic planning in healthcare administration. The university is accredited by the New England Association of Schools and Colleges, Inc. (NEASC). Admission requirements are: letter of recommendation, official high school transcripts, SAT scores and an essay sample. Indiana Wesleyan University is a leading institution with one of the best online bachelors in healthcare administration. The program adequately prepares the student for success in the industry. It explores a number of study areas including business statistics, healthcare marketing, human resource management, healthcare management and leadership, communication in business, strategy development for healthcare administration, issues for healthcare administrators and accounting principles. The program has the following outcomes: the student should be able to implement a lifelong growth plan, assess solutions to problems in the healthcare system, evaluate and implement technologies in healthcare organizations, and observe ethical standards in decision-making. Individuals seeking admission are required to submit high school transcripts / GED certifications and / or official transcripts from accredited higher learning institutions attended. Students are required to complete a minimum of 120 credit hours prior to graduating. The university is accredited by the Higher Learning Commission (HLC) of the North Central Association of Colleges and Schools (NCACS). Reinhardt University has one of the best online bachelors in healthcare administration. The program is intended to equip the student with knowledge in management, getting them ready for careers in public and private healthcare sectors. The coursework gives an insight to the healthcare system in the US, the knowledge needed by professional managers in healthcare and the requirements of healthcare organizations. Students will need to complete 120 semester hours of General Education, Electives and Major courses. Some of these courses include Clinical Data Management, Patient Safety and Infection Prevention, Economics of Healthcare, and Healthcare Law, Regulations and Ethics. Applicants who wish to transfer credits for evaluation may do so. Military students who’ve covered American Council on Education (ACE) approved courses may transfer credits. Students with P.O.S.T Teaching and Professional Training may also seek academic credit. Reinhardt University is accredited by the Southern Association of Colleges and Schools Commission on Colleges (SACSCOC). Liberty University has some of the best online bachelor in healthcare administration and management. It provides two options: the Bachelor of Science in Healthcare Administration and the Bachelor of Science in Business Administration with a Healthcare Management concentration. In each of these programs students are required to complete at least 120 credit hours. The healthcare administration major trains students on business management and strategic planning that can promote excellence in healthcare organizations. Students will explore topics like financial accounting, healthcare informatics, operations management and many more. Some of the careers in this field include patient care services coordinator, physician office manager and human resource coordinator. The business administration healthcare management option equips students with business skills as relates to the healthcare industry. Some of the courses taught here include organizational ethics, management of HR and health professionals, research & evidence, and corporate finance. University of Louisiana at Lafayette is at the forefront in providing quality education. Its health services administration degree makes the list of one of the best online healthcare programs in the country. The program is meant to equip students with skills that will help them secure entry to mid-level jobs in healthcare settings. The curriculum taught looks into areas such as long term care and administration, legal aspects for health care, health care policy, electronic health records, disabilities in American society, healthcare information systems and many more. The university is accredited by the Southern Association of Colleges and Schools Commission on Colleges (SACS-COC). A typical health services administrator’s day includes managing facility finances, supervising assistant facility administrators, and improving efficiency in service delivery. Admission to the program is open to freshmen, transfer students and re-entry students. The University of Central Florida is a well-established institution which offers one of the best online bachelor in healthcare administration. The program puts a strong focus on the administrative part of the healthcare industry. Upon graduation, the student will be ready for entry-level managerial roles in hospitals, home healthcare agencies, ambulatory care centers and medical group practices. They can work as clinical managers, assistant administrators, health insurance specialists of HR administrators. Students are expected to complete all upper-level courses with an overall GPA of 2.5. Some of the courses that are taught at this level include Health Sciences Research Methods, Health Law and Ethics, Quality Management, Health Care Economics and Fundamentals of Health Information technology. Internship is part of the curriculum and students seeking internships are required to have earned 24 health services administration (HSA) credit hours before the start of the program. UCF is regionally accredited by the Southern Association of Colleges and Schools Commission on Colleges (SACS-COC). Saint Joseph’s College is one of the top institutions offering online bachelor in healthcare administration. The BS in Health administration is designed for everyone who wishes to have background information on how the healthcare system works. It prepares them for supervisory roles in all healthcare settings. They’ll study general education courses, electives and core courses, which constitute 128 semester hours. Examples of the courses taught are Quality in Healthcare administration, introduction to Community Health, Emergency Preparedness, Healthcare Informatics, Communication skills with seniors and Strategic Planning in Healthcare Organizations. Upon graduation, students will be able to work as health services managers to improve the delivery of healthcare services. Part of their work may include creating work schedules, and keeping records of services in the facilities in which they work. The college is accredited by the New England Association of Schools and Colleges, Inc. (NEASC).